New iPhone and Watch launch leaves plenty to talk about. Today was Apple’s annual iPhone release and they did pretty much what everyone expected, releasing two new phones and a watch. 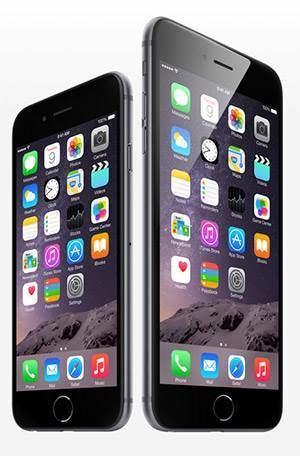 The new phones are the iPhone 6 and the iPhone 6 Plus. Both are larger than the current iPhone 5 and have a rounded metallic form similar to the recent HTC One M8. The size of the phones may shock some users as the iPhone 6 is somewhere between the iPhone 5S and the Samsung Galaxy S5, while the iPhone 6 Plus is almost the same size as a Samsung Galaxy Note 4. If you’re an iPhone user thinking of upgrading then you’ll want to check out the iPhone comparison page from Apple, which gives you the clearest head-to-head specs between recent models. Notably the iPhone 6 Plus seems to have used some of that extra space for a bigger battery with a large improvement in battery life. Pricing for the iPhone 6 in New Zealand starts at $999 for the 16GB version and goes to $1299 for the 128GB version. The iPhone 6 Plus starts at $1149 and goes to $1449. The Apple Watch (notice there’s no “i” preceding this one) was the other big release today. Coming after a slew of other “wearables” have been launched from other companies, the tech world was incredibly curious to see what Apple would do. In short, they covered all their bases. The Watch comes in three types: Watch, Watch Sport and Watch Edition (which comes in gold). All three versions have a square face and small crown dial on the right hand side for navigation. There are a number of left-handed people complaining about this design feature, so don’t be shocked if Apple announce that the watch can be worn “upside down” as well. There are also a huge number of different bands available to go with the Watch. The Watch does what most smart watches do – send you alerts, track fitness, work with your phone – but it also has a unique simple communication mechanic for communicating with other Watch owners. Digital touch allows two users to send each other onscreen doodles, quick audio messages and, in an adorable but seemingly useless feature, a visual depiction of their heartbeats. 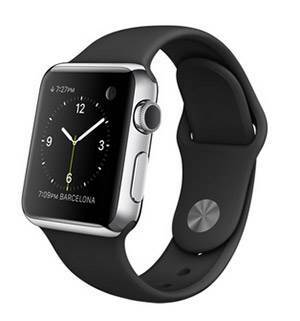 The watch will require you to own an iPhone 5 or later for the functions to work. There’s no word on battery life, other than the stethoscope-esque magnetic charger which implies that you may need to charge it regularly, though if the Samsung Fit watch is anything to go by it won’t be every night. What are they like? Well that’s all speculative until the devices are released. iPhone 6 and iPhone 6 Plus will be available in New Zealand from Friday, 26 September. The Watch is set for release early next year with pricing currently set at USD$349.